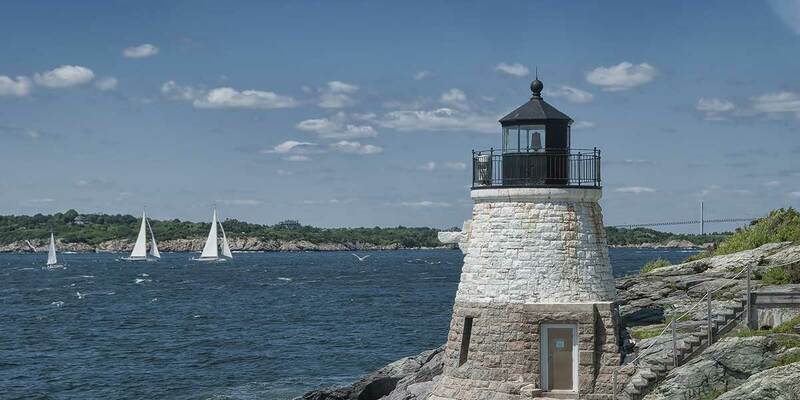 Rhode Island, the Ocean State, is loved for its many beaches, for the historic city of Newport, and for the up-and-coming capital city of Providence, rich with culture and interesting dining. Visitors love the unspoiled Block Island, easily reached by ferry from the fishing village of Point Judith. Other parts of the state are rich in history, farms, and beautiful outdoor getaways. The Blackstone Valley region takes its name from the river that was the power source for America's first mills. This historic region is a place of old towns that preserve America's industrial history; ethnic dining, courtesy of the French Canadian, Irish, Italian, and Portuguese immigrants who have settled here; small music and performance venues; and outdoor recreation. This island off the Rhode Island coast has a modest town, many beaches, two historic lighthouses, and stunning bluffs and cliffs. Development is very light, and there are places all around to enjoy walking, bicycling, paddling, and bird watching with very little human encroachment. The town has delightful shopping and dining in a relaxed, summer-drenched atmosphere. Newport is famous for its Gilded Age mansions, built as summer cottages by industrialists of the Victorian age. Many are open for tours and special events like garden shows, wine festivals, and Christmas galas. The city has delightful Colonial-period houses, lots of dining and entertainment and museums, and a historic legacy as a place of sailing and tennis. People love strolling Cliff Walk, which looms above a rocky coast with gorgeous views of Narragansett Bay. 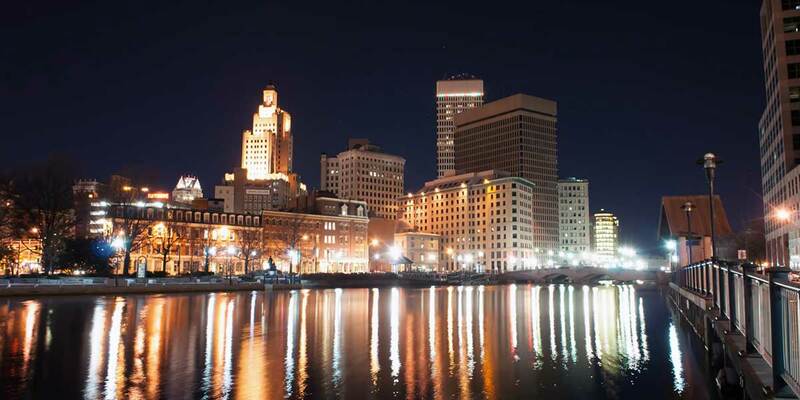 The capital city of Providence has enjoyed a rejuvenation since the 1990s, centered upon the downtown WaterPlace Park, where the unique outdoor art happening, WaterFire, is held. The city has great dining, most famously in its Little Italy neighborhood of Federal Hill. The neighborhoods surrounding Brown University brim with elegant architecture of four centuries. Warwick, a little south of Providence and also located on Narragansett Bay, has several excellent restaurants -- including some right on the water's edge, near marinas -- beautiful public parks with swimming, an easy-to-reach airport and rail connections on Amtrak with parking shared by the airport and train station. South County specializes in long, sandy, luxurious beaches with plenty of services and amenities. 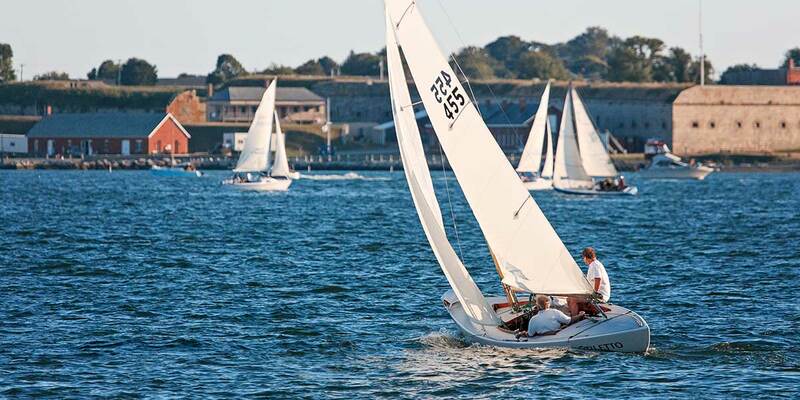 The towns of Wickford and Watch Hill offer water vistas along with shopping and pleasurable dining. Westerly is a pretty town with a Victorian-era central park. The county's nature preserves have ample hiking, paddling, and fishing in pristine settings.